MCT INDIA is a global expert in the domain of Asset Management and its services. The company is focused on delivering value through integrated solutions for Asset intensive companies / Industries that help enterprises across the world overcome their stiff maintenance challenges. These solutions leverage innovations in maintenance technology, knowledge of business processes and domain expertise to provide clients to uncover their hidden profits. 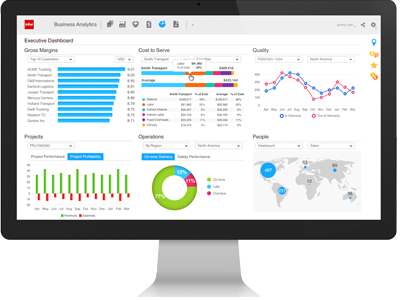 IBM MAXIMO is Strategic Asset Management Solution which can manage and optimize performance of all assets that have a direct and significant impact on company operations and performance. 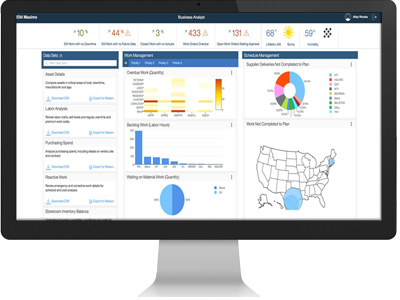 Infor EAM Enterprise to better manage, maintain and track their assets, and improve decision making surrounding maintenance, inventory, warranty, uptime, risk management, health and safety and strategic planning. 1. More than 15 years experience. 2. Over 30 EAM Implementations all over the globe. 3. Integration of EAM with other Financial & ERP products. 4. Dedicated support & testing team. Hospitals & Healthcare organizations are equipment intensive industry that faces a major challenge in managing medical equipment, which includes tracking and managing mobile assets, complying with ever-changing regulatory standards, guarding against equipment failures, and managing clinical equipment inventory to ensure higher asset performance at a lower energy cost. Our healthcare EAM edition is designed to recognize and effectively monitor and manage all such facilities and equipment. For the hospitality industry, managing the infrastructure of buildings, facilities, and equipment is critical to the operational success of the hotel. At the same time, the hotel must comply with strict quality and safety guidelines, along with the many service level standards to meet the needs of their most valuable assets—their guests. Our specialized EAM solution helps the hotels understand and effectively manage all facilities, equipment, and energy costs—a solution that will help exceed their guests’ expectations. Logistics & Shipping are capital- intensive industries, and success hinges on how well companies track and manage their vehicles, assets & equipment and capitalize on opportunities for productivity and save operational costs. For Logistics & Shipping companies, we offer an advanced EAM solution that can monitor complete spare parts and equipment, help in managing supply chain, reduce costly delays, and gain complete visibility. Whether you’re producing energy though nuclear, coal, gas, wind, hydroelectric, or other means, power generation companies are continuously under pressure to manage significant risks while addressing escalating demands. And to meet these demands power plants need to monitor, manage, and maintain their enterprise assets with increasing skill and precision. They need to track energy usage (and possibly waste) to determine how well their assets are performing. Power plants also need to aggressively manage maintenance cycles, optimize assets, and maintain full compliance. MCT India Infotech is run by a group of young and dynamic technology professionals with over 20 years of domain expertise in Enterprise Asset Management solutions.
" We value MCT INDIA for their creative thinking, responsiveness and deep understanding of Asset Management." " We had a dedicated team from MCT INDIA, that truly understands our business process & our project plans." Doing EAM upgradation project for a Logistics Company in Mumbai. Started a major project for Power Plant in India. Started a New project with Bahrain Govt. © 2015 infotrench Website Theme. All Rights Reserved. Powered by . Infotrench.